A new Better Igloos catalog has been released on Club Penguin Rewritten, filled with lots of Medieval and amazing garden furniture! 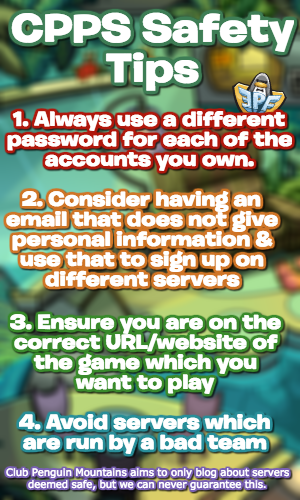 In this post, I will be sharing all the secrets/cheats inside the catalog! A blue circle represents that a secret is hidden there and the image next to it is the item which you can get by clicking there. I’d like to give a huge thank you to Janina2 and PolarParfait for informing me of the 2 secrets I missed. 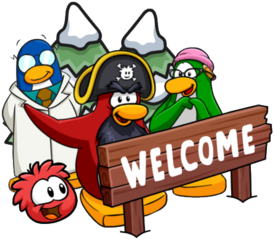 Page one contains two secrets, the Ice Sculpture Knight which can be found by clicking the flame, the Candle found on the red banner and the Harp which can be found by clicking the puffle on the blue banner. Page two contains four secrets: the Medieval Banner, the Elegant Plan, Crystals the HD TV and also Vines. Page three has five amazing secrets! These are the Maiden Shrubbery, the Knightly Shrubbery, the Fluffy Shrubbery, the Regal Chair and the Dinner Table.